Bear shifter Logan Bishop is both protective of his omega, and loyal to the core. Destined to reclaim his fated mate, he wakes up from a terrible vision. The small town he once loved and cared for is in danger again, and it’s up to him to save it. Growing up, Logan only desired one thing: to be with his mate forever. The jaguar shifter Jackson is handsome and cunning. He always knew they were destined to be together. When they were younger, they would crawl into bed and swear they’d never let go. Everything felt so perfect. They were on the path to living an ideal life. But then the fires happened. Years ago, Frisky Pines was ravaged. Separated from his mate, Logan was forced to skip town to find his true destiny. When Jackson sees him for the first time in six years, both of their lives change forever. Logan can’t help himself. Seeing his omega again is more than he can handle. Jackson becomes pregnant with twins, and they have embark on a journey together. After years of being forced apart, Logan wants to know what love is like again. Pushed into harm’s way, he vows to protect his pregnant mate, no matter what the cost. They make a lifelong promise to each other. They tie the knot for good. Protecting the Omega is his mission. Falling in love is a whole different battle. Sergeant First Class Kali Morris is the communications specialist for special forces Delta Squad. He’s the love-em-and-leave-em type of alpha. But when it turns out Sergeant Kali will be with him on the mission–Thomas’ heart is in as much danger as his life is. Alpha Kali’s duty is to complete the mission but his nature is to protect the Omega he’s claimed. Assured Elites pairs hot gay celebrities with their ideal match. But have they found the case that spoils their perfect record? Pop singer Mikel loves brilliant older men. He’s having trouble meeting his celebrity crush, but he knows the matchmaking service can put the two of them together. So why do they insist he try a date with the hot doctor instead? This Curt guy with the silken hands is miles out of his league. Top-flight neurosurgeon Curt can save lives, but he can’t seem to find that fabled work/life balance. His coworkers take matters into their own hands and sign him up with Assured Elites. A fun date or two with a young pop star could show Curt there’s more to life than long hours in the emergency room. Everybody knows Curt and Mikel are made for each other. Everybody except them. A Hotter Fire is a steamy romance that features an age gap, a doctor with gifted hands, a million-dollar toy, and a mysterious store that can disappear in a cloud of fog at a moment’s notice. Always a guaranteed happy ending, and absolutely no cheating or cliffhangers. Each novel in the Assured Elites series deals with a different couple. Feel free to start anywhere and to read them in any order. The trilogy includes A Fiercer Heat (Book 1), A Higher Flame (Book 2), and A Hotter Fire (Book 3). War never leaves a soldier behind. Matt Simpson is notorious for his bad decisions. From his rocky teenage years to his tumultuous early twenties, he’s made a lot of mistakes. His latest, greatest, and perhaps stupidest of them all was his recent pursuit of his boss, the unattainable Steve Paulson. Desperate to make the man notice him, and knowing Steve would never get involved with an employee, Matt quits his job. Unfortunately, Steve still won’t touch him. To make matters worse, his new job falls through and his older brother won’t hire him. Matt can’t bear to ask Steve for help, and soon he finds himself out of money and out of options. 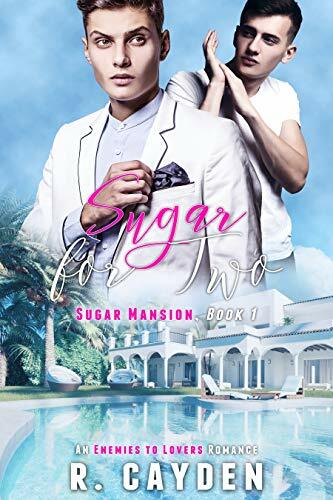 When Steve finds him living in his car and demands that he go home with him, Matt obeys, but living with the man he’s wanted for two years proves to be frustrating as well as explosively hot. As Matt begins to explore his submissive side under Steve’s firm guidance, his insecurities haunt him. What does a homeless, jobless kid with a string of failures behind him have to offer, even if Steve did want him for more than a brief fling?